Game of Thrones Live Concert Experience: Ramin Djawadi Event homeCustomer reviews HamiltonThe PromNetworkTo Kill a MockingbirdKiss Me KateHadestownOklahoma! A music and visual experience that will bring the Seven Kingdoms to life on a scale never seen before! 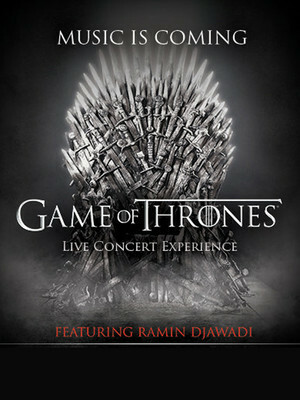 Why See Game of Thrones Live Concert Experience: Ramin Djawadi? In the golden age of television, one show towers above all others. 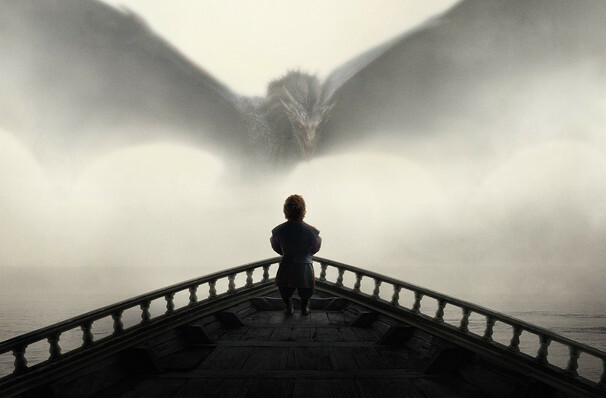 HBO's blockbuster series Game of Thrones has been entrancing millions of viewers the world over for seven seasons with its epic saga of political intrigue, bloody warfare and really really big fire breathing dragons. Sound good to you? Share this page on social media and let your friends know about Game of Thrones Live Concert Experience: Ramin Djawadi at Prudential Center. Please note: The term Prudential Center and/or Game of Thrones Live Concert Experience: Ramin Djawadi as well as all associated graphics, logos, and/or other trademarks, tradenames or copyrights are the property of the Prudential Center and/or Game of Thrones Live Concert Experience: Ramin Djawadi and are used herein for factual descriptive purposes only. We are in no way associated with or authorized by the Prudential Center and/or Game of Thrones Live Concert Experience: Ramin Djawadi and neither that entity nor any of its affiliates have licensed or endorsed us to sell tickets, goods and or services in conjunction with their events.